Gale and Vivian (McKee) Pfister will celebrate their 70th anniversary on Monday, Dec. 29, 2014. 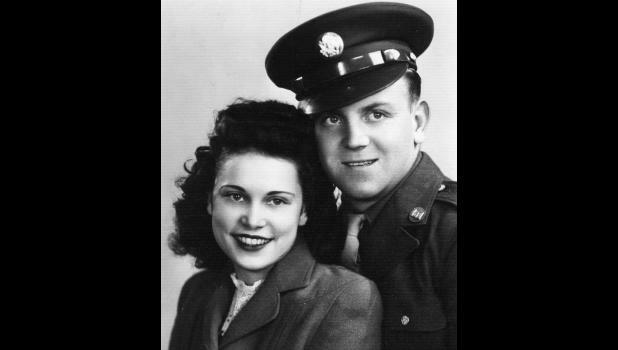 The couple was married on Dec. 29, 1944 in Hiawatha. Their parents are the late Simon and Mary Wenger Pfister and Nick and Dorothy McKee. Family and friends are invited to help them celebrate from 1:30 p.m. to 3:30 p.m. on Dec. 28, 2014 at Vintage Park, 410 Juniper Dr., in Holton. Cards can reach them at 410 Juniper Dr., Room 107, Holton, KS 66436. The couple requests no gifts, just your presence. Their celebration will be hosted by their daughter, Geralin Altenburg, and her husband, Wayne, and grandchildren, Darin and wife Kristi Altenburg and Kim and husband Terry Clark, and great-grandchildren, Taygen and Logan Altenburg, and foster great-grandchildren, Xoe and Xavier.